Wesdome Gold Mines Ltd.("Wesdome" or the "Company") is pleased to provide an update of drilling progress at its 100% owned Kiena Mine Complex located in Val d'Or, Quebec. *Assay intervals include values cut to an arbitrary, historic 1 oz/ton or 34.28 g/t. **The geometry of the upper quartz veins is not currently understood. Thus true widths are, at this time, not determined. Compilation of the new drilling combined with previous results support the presence of at least two multi zone centres of mineralization that remain open to depth and along strike. Mr. Duncan Middlemiss, President and CEO, commented, "The high-grade nature of these recent results have brought a renewed focus to this asset, especially in view of the property's substantial resource base. The Kiena Complex is fully permitted, with a 930 metre shaft, a ramp system that accesses the 1000m Level, and a 2,000 tonne per day mill all in excellent condition. The potential for relatively low capital expenditure and a reduced development timeline is evident. We are concentrating efforts to advance this asset and are adding a fourth drill to expedite this exciting program." New results are tabulated in the attached Table 1. Assay intervals in the detailed table include values cut to an arbitrary, historic 1 oz/ton or 34.28 g/t. Locations of the drill holes are shown in Figure 1, an isometric view looking northwest. 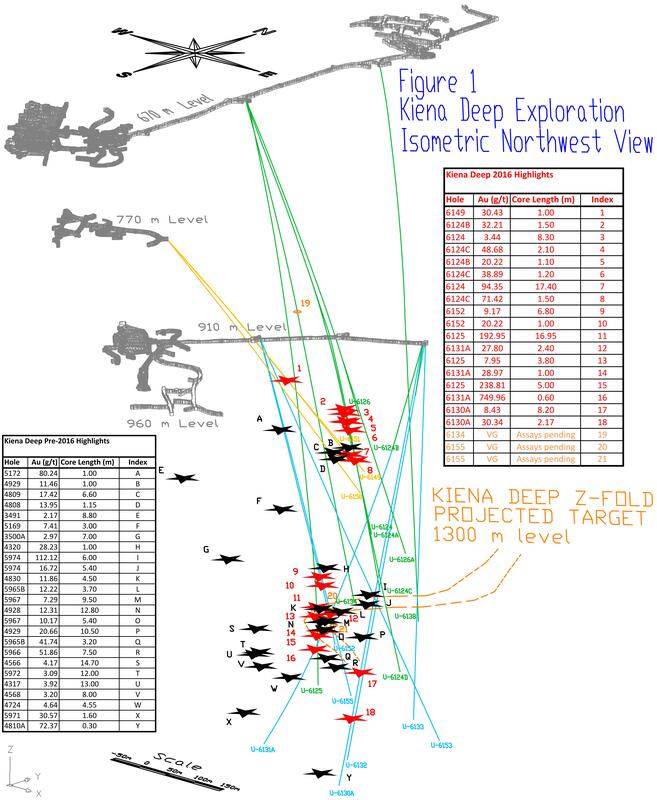 Figure 2 provides the current wireframe interpretation of the Kiena Deep discovery. 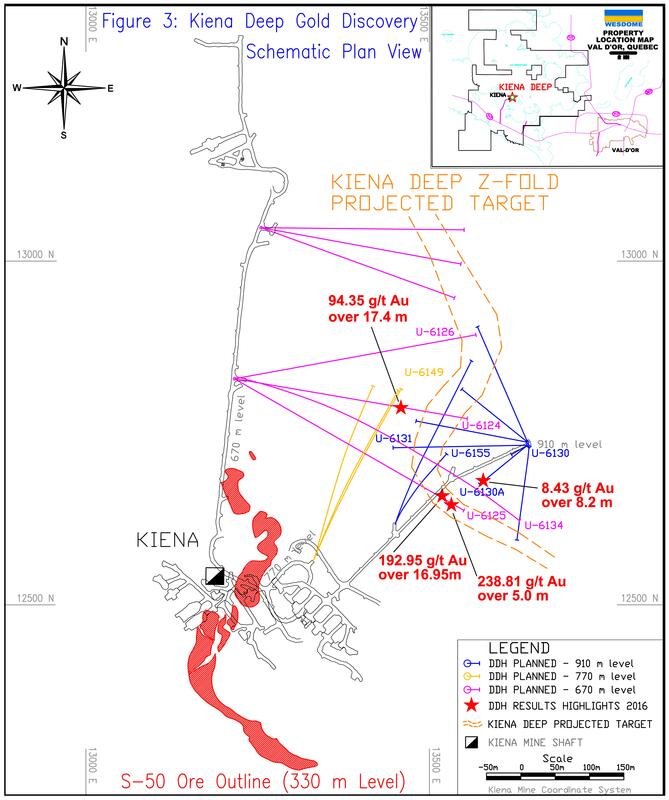 Figure 3 shows the ore outline of the S50 Zone on the 330 m level along with the location of the current drilling. We are testing a model that this S50 geometry potentially repeats at depth. The first exploration drilling to depth was conducted in the period of 2010 - 2012. Approximately 20 holes were completed with the purpose of tracing a southeast plunging trend projected as a potential extension of the S50 Zone. Pre-2016 drill results are tabulated in the attached Table 2. The results of this work were described in Press Releases dated March 29, 2010, and September 4, 2012, available in the Press Release archive at www.wesdome.com. Drilling was eventually abandoned due to slower than expected progress due to blocky ground conditions in the upper halves of holes drilled from the 910 m level. These conditions continue to slow the generation of drill results. This early work supported the interpretation of three southeast trending zones occurring below the 1,000 metre level. They support an Indicated Resource estimate(1) prior to 2016 drilling, and are being targeted now in the current drilling program. (1) Reference: Technical Report for the Quebec Wesdome Project (according to National Instrument 43-101 and Form 43-101F1) dated December 16, 2015 prepared by Bruno Turcotte, P.Geo., Denis Gourde, Eng., Pierre-Luc Richard, P.Geo. of InnovExplo Inc. The 2016 drill program commenced in June and generated exceptional early results (Press Releases dated August 24 and September 15, 2016). The program was predicated on the model that mineralization may be much more extensive and replicate the characteristic Z-fold geometry observed in the S50 Zone which supported the bulk of historic production at Kiena from 1981 - 2013 (Figure 3). Early results support this thesis and have also identified a new high-grade quartz vein system at shallower depths (Upper Quartz Vein Zone). Figure 1 illustrates the steeply inclined, deep nature of drilling to date. We have mobilized a third drill to the 770 m level and will soon add a fourth to the 960 m level. Drilling continues northeast through massive basalts targeting the controlling basalt-komatiite contact area alteration and deformation zone that hosts at least four zones of mineralization interpreted to date. More drills, better attack angles, and shorter holes coupled with our evolving technical and practical experience with these conditions are expected to accelerate results. Our goal is to generate reasonable confidence in a critical mass to justify progressive development of a ramp system to better position drills and eventually access both known centres of mineralization. The Company's wholly owned, contiguous Val d'Or properties cover approximately 7,000 hectares and encompass four former producers, eight shafts and a network of underground workings. The Kiena Mine Complex is a fully permitted, integrated mining and milling infrastructure which includes a 930 metre production shaft and 2,000 tonne per day capacity mill. From 1981 to 2013 the mine produced 1.75 million ounces of gold from 12.5 million tonnes at a grade of 4.5 g/t. The bulk of this production came from the S-50 Zone between depths of 100 and 1,000 metres. In 2013, operations were suspended due to a combination of declining gold prices and lack of developed reserves. The infrastructure has been well preserved on care and maintenance status. 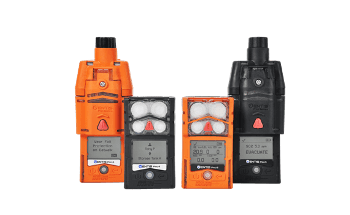 The technical and scientific disclosure in this press release has been prepared and approved by Marc Ducharme, P. Geo., Chief Exploration Geologist of Wesdome and "Qualified Person" as defined by National Instrument 43-101 disclosure standards. 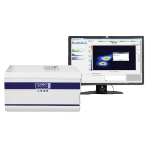 Analytical work was performed by Techni-Lab (ActLabs) of Ste-Germaine-Boulé (Quebec), a certified commercial laboratory (SCC Accredited Lab #707). 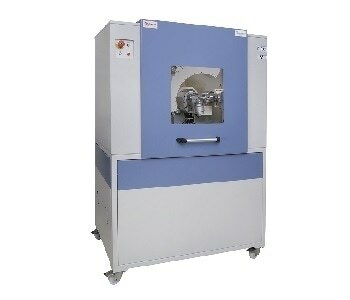 Sample preparation was done at Techni-Lab (ActLabs) in Val d'Or (Quebec) and assaying was done by fire assay methods at Techni-Lab (ActLabs) laboratory in Ste-Germaine-Boulé (Quebec). In addition to laboratory internal duplicates, standards and blanks, the geology department inserts blind duplicates, standards and blanks into the sample stream at a frequency of one in twenty to monitor quality control. Assaying from the period 2010 - 2012 was determined by fire assay methods at the Kiena Mine assay office. This work involved internal duplicates, standards and blanks. Additionally, the geology department inserted blind standards and blanks at a frequency of one in twenty. 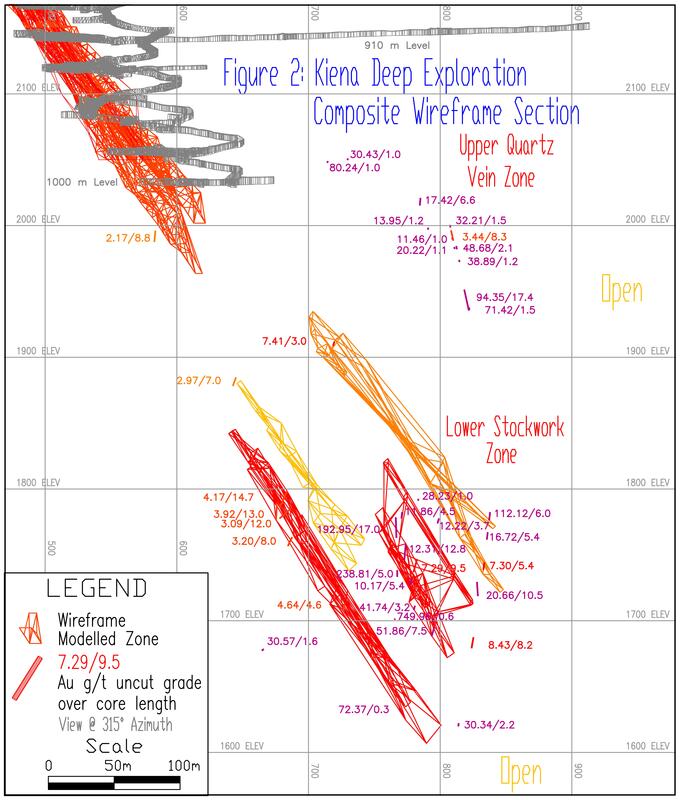 The qualified person monitoring quality control at this time was also Marc Ducharme, P.Geo., OGQ and Chief Exploration Geologist, Kiena Mine, Wesdome Gold Mines Ltd.
Lower Zones vary between 50 to 100% of core lengths.